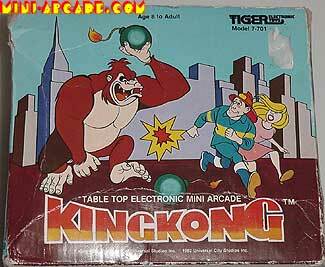 Comments: An incredibly rare game by Tiger, very sought after by collectors. 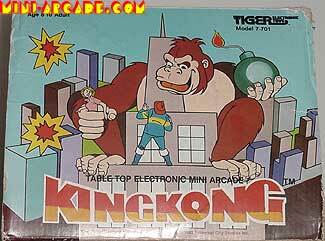 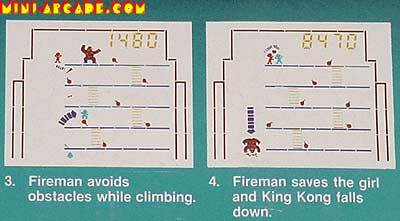 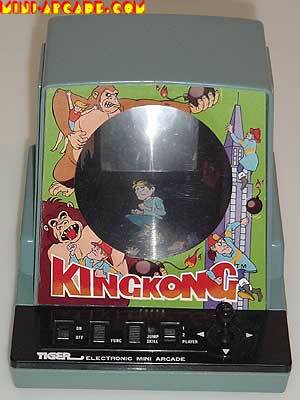 Naturally its a donkey kong clone, and is also a licensed Universal Studios King Kong title. 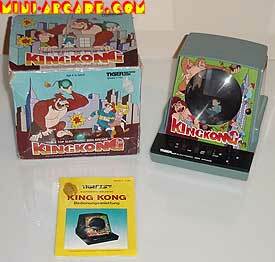 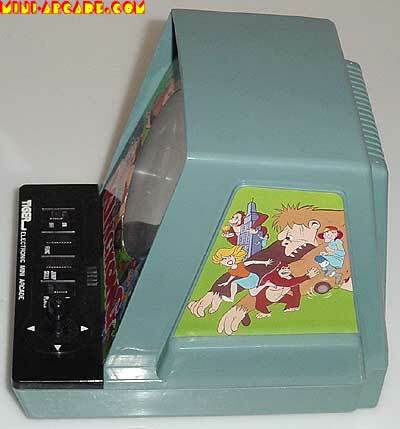 There also is a handheld version which is more common, and an Atari 2600 version too (tigervision).